focus on the little raj. Because you’re only a baby once. was for the little man!). Picking items from our own house, the team put together a shoot that paid homage to maternity shoot but also his personality of being a lively, outdoors baby. There was the traditional smash cake created by Ma Petite Maison Cake Design to match Preeti’s outfit (worn in both shoots). The Hindi alphabet blocks celebrated Preeti’s Indian heritage, along with the Indian outfits.Catch the dhoti (pants) that the little man is wearing matching a brocade sherwani. but to pair that dhoti casually, he went with a pink polo top. And who says boys can’t wear pink? Despite a somewhat unruly model (have you photographed a toddler?! ), we’re so happy with the photos. Of course, we had tons more inspiration from the pinterest board, but when your model has a total meltdown just as the shoot starts, you’re like…ERRRR! But with the focus being about his live and personality, this was more than just a pinterest photo shoot ­ this photo shoot is celebrating that first year of life, our heritage, and that time is truly ephemeral. I hope these photos inspire you to celebrate being Indian in all forms. 1. Make sure the kiddo eats and naps beforehand. 3. Move fast in the photo shoot. Guess what, those babies get so annoyed posing for you! 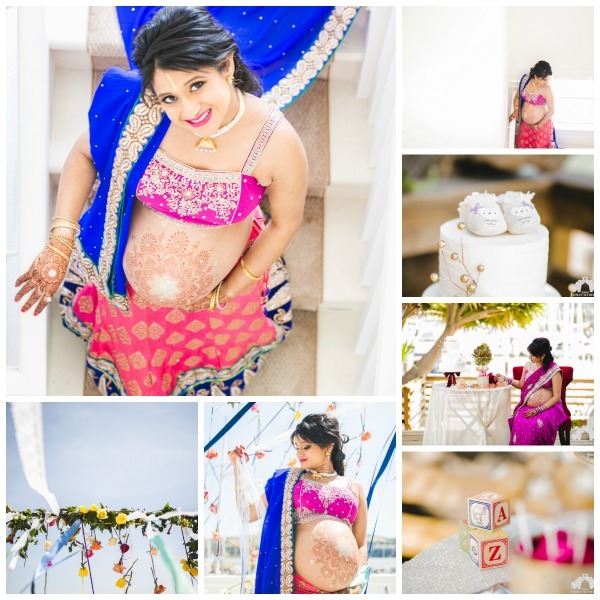 Learn more about Preeti Moberg over on TheBigFatIndianWedding where she is also the CEO. Follow her blog on twitter and Facebook.